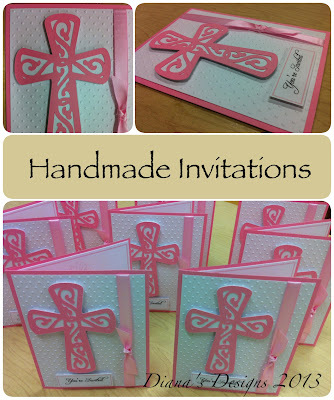 Here are some invitations I made for a co-worker this week. I wish I had more time to share my handmade greeting cards over on my craft blog Diana's Designs but I just can't seem to find the time. I'm definitely looking forward to the summer break! Please feel free to link up your Wordless Wednesday posts below. Love the way they pop! The dollar store didn't have any adhesive foam so I had to make my own. It worked well enough. They look 3D. Beautiful D! Thanks, Caroline! I can't resist an opportunity to add dimension to the cards I make. I never got into the card making, more on the jewelry thought. Your are great. They are beautiful. Do you have an Etsy shop? No. No Etsy shop. Yet. Maybe one day! Oh, yes, she did! I hope her daughter likes them, too! 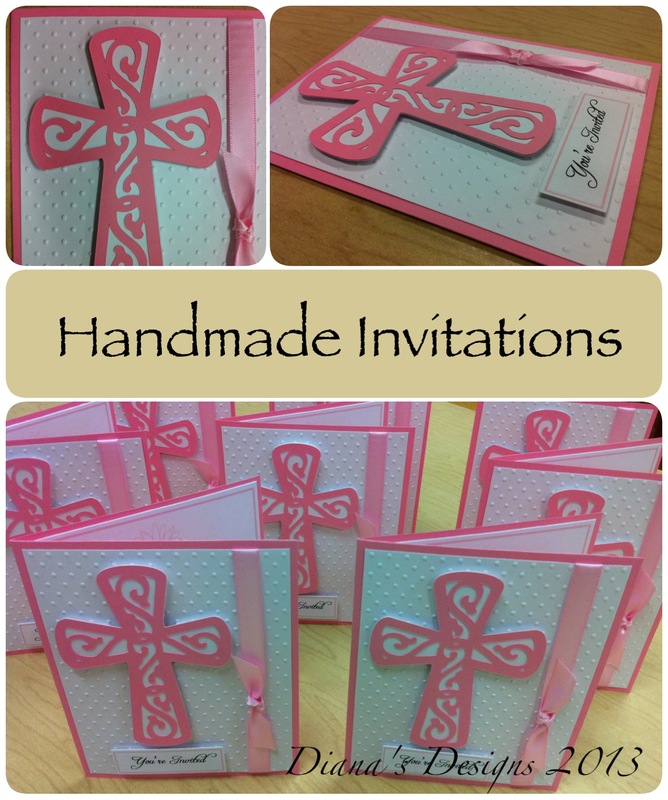 Very nice cards - congratulations on making them!! Mines up as well at AussiePomm - Sydney Harbour Bridge (incl Timelapse)!!!! That looks like a lot of work. They look good though! They came out very nice! Beautiful! Love how the cross pops up. Those are beautiful! I love all your card creations!! Absolutely stunning!! Great design and you did a beautiful job. They look fantastic! Wish I had more time to spend doing the crafts I love and making things like this! They came out great!! Well done! Those are beautiful!! You have an amazing talent. Are they for a baptism or a first communion? Aw, thanks Wendy! I made them for a First Communion. Those are really great! I love making my own cards. It makes it that much more personal!